IBM® API Connect™ is for organizations looking to streamline and accelerate their journey into the API economy. It’s a comprehensive management solution that addresses all four aspects of the API lifecycle: create, run, manage and secure. 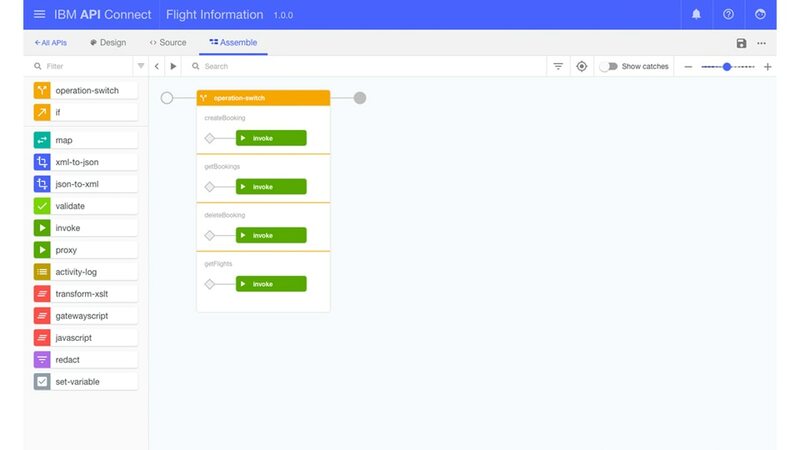 API Connect is far more cost-effective than limited point solutions that focus on just a few lifecycle phases. It enables external and internal consumers to accelerate an organization’s API program and capture new revenue through compelling new customer experiences. Discover existing APIs and back-end data sources and create new APIs faster using model-driven tools. 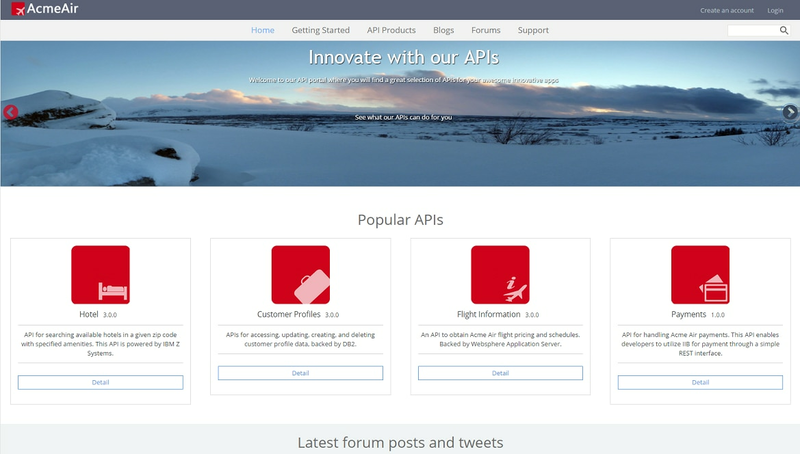 Allow API owners to customize their developer portal with branding to advertise, market, socialize and sell their APIs. 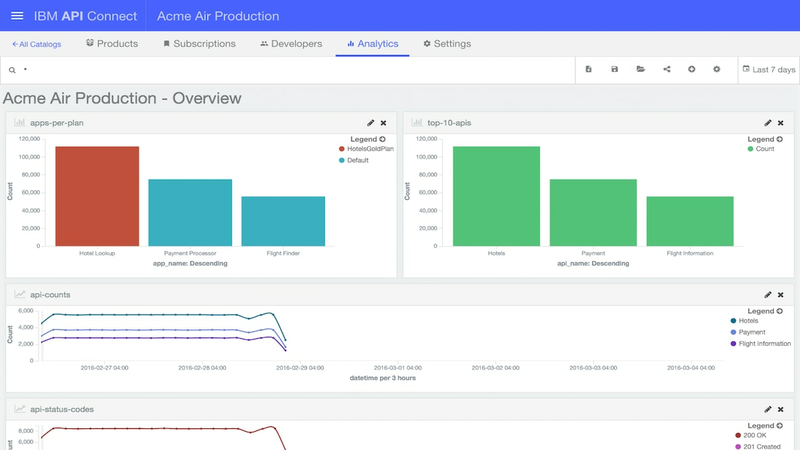 Extract API usage and analytics data to quickly react to new opportunities. 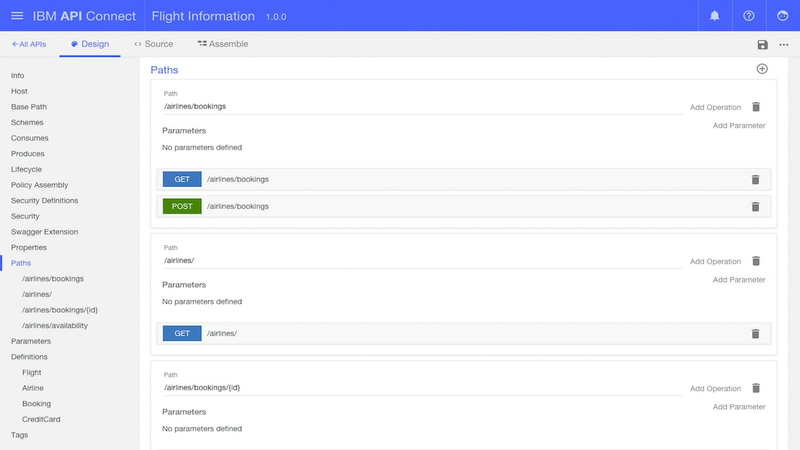 Conduct API management with varying levels of consumption entitlements so you know who, when and how often your APIs are being called. Gain insights into API usage and quality of service using detailed analytics with structured filtered searches and navigation capabilities. Capture new revenue sources through monetization of an organization’s API Program. Try for free for 30 days. 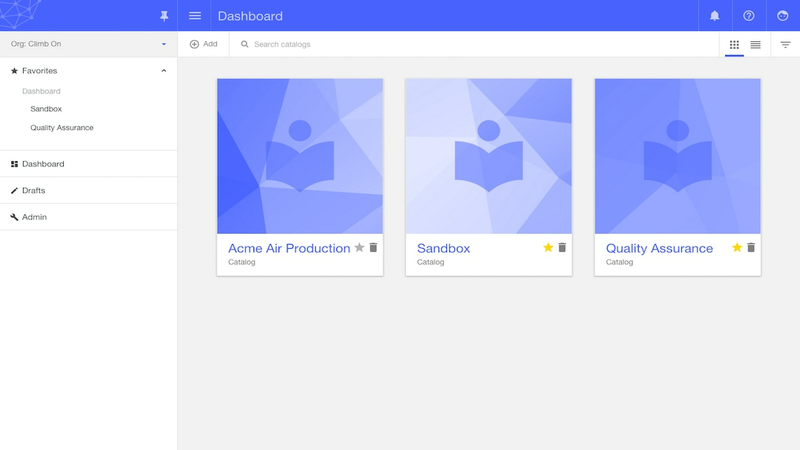 A complete API solution for single departmental projects. An enterprise-grade, comprehensive API solution for enterprises and cross-department projects.